After an intense 30 Year career, and 4 Ironman Triathlons, whats a guy to do? 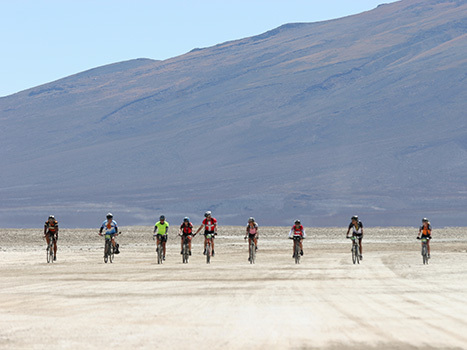 While searching long distance bike tours way back in the early 2000's, the TDA site came up. Cycle across Africa- 12,000kms, 4.5 months- What? Thats nuts! However, the more i thought about it, the more intrigued i was. Wow- people- 'ordinary people-doing extraordinary things' actually participated in those rides, and lived to tell about it! They didn't get killed by lions or headhunters or...Fast forward to 2008 TDA and there we were,at the Pyramids, 60 strangers from 14 different countries about to have the ride/total experience of our lives. It was incredible, just like cycling through the pages of the National Geographic, every day for 4.5 months- i was hooked! The Tda was/is like a drug- the more trips you go on, the more you want to do. In Africa i met Michael Linke and the BEN (Bicycle empowerment network), inspired by the great things they were doing, started a chapter of Bicycles for Humanity here in Victoria as a way of giving back. To date we have collected and shipped 9 container loads of bikes- Two container loads each to Namibia & Uganda and 5 to Malawi (over 4000 bikes + spare parts to date and counting). Since TDA 2008, I have been super lucky to have cycled the Orient Express, Silk Route, Trans Oceania, South American Epic, & much of both Trans Europa and Bamboo road rides with TDA. Completing Trans Europa is on tap for 2018. In 2015 my goal of cycling around the world was completed, albiet not all on TDA trips. I am extremely lucky, fortunate & grateful. There is no greater way to see the world than from the seat of a bike, under human power. How blessed am I to be able to share the experience with so many incredible fellow riders, TDA staff, and all the amazing people you meet along the way! Goal is to raise funds and collect bikes for our 11th containerload of good used bikes to Africa this one is destined for Zomba, Malawi. Still need 250 bikes to fill the container..Victoria, we need your help! !